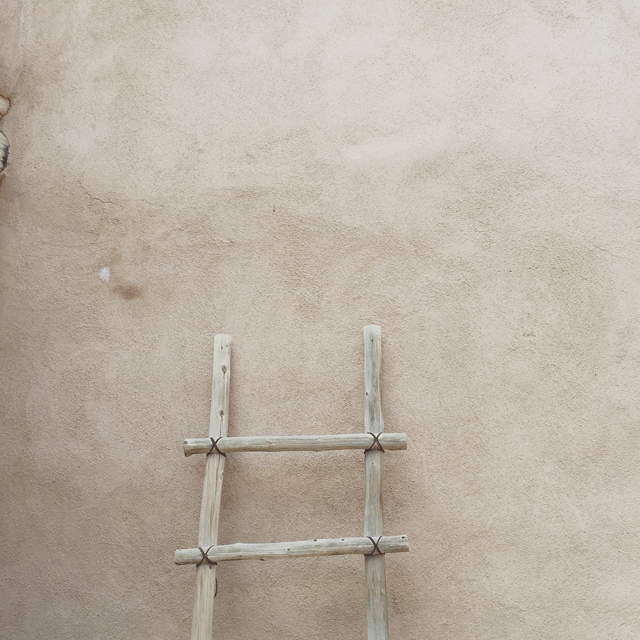 If you drive about an hour and a half Northwest of Santa Fe, you'll find yourself in a little town called Abiquiu, New Mexico. 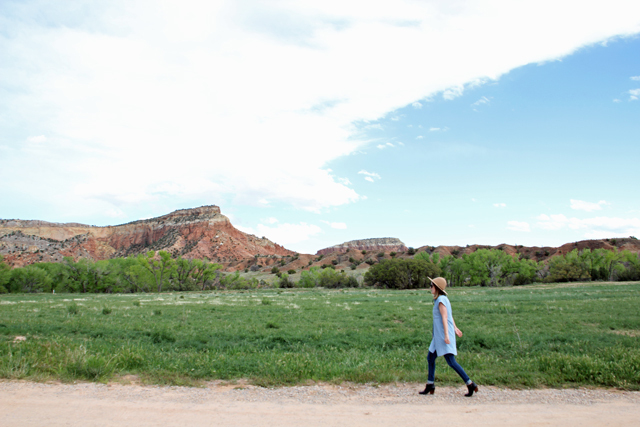 In Abiquiu you’ll find Ghost Ranch, and at Ghost Ranch, there’s a lot to find. 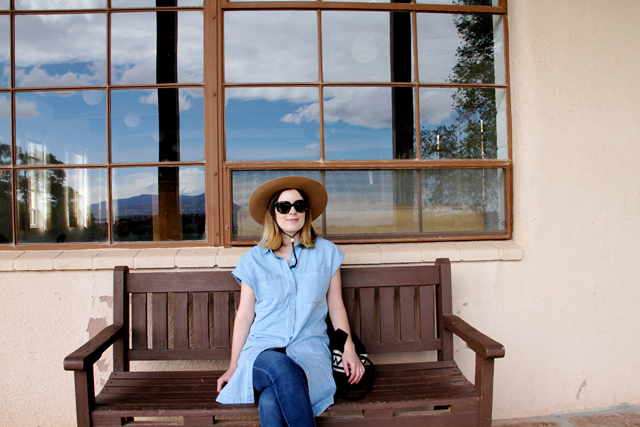 Most well-known as the place where Georgia O'Keeffe lived and worked for much of her life, it’s still a functioning ranch and retreat center, and an incredibly unique place to see. The landscape alone is enough reason to visit, with its painter’s palette of colors, sweeping views, Southwestern mesas, geologic formations, winding rivers and famous light. 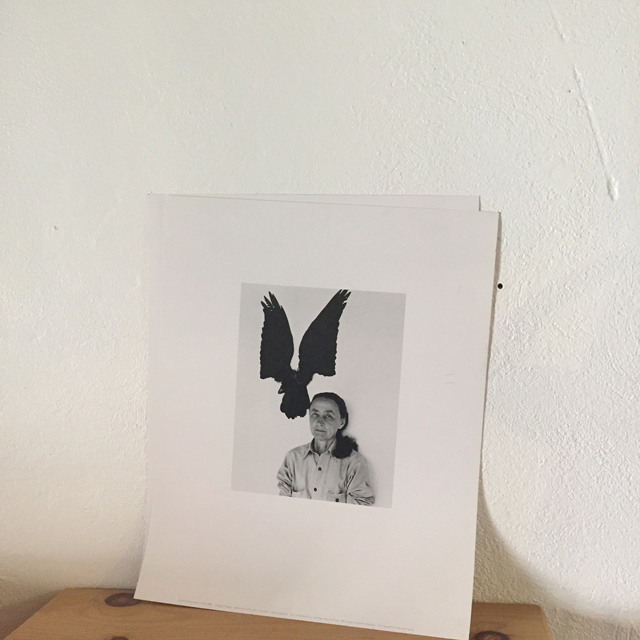 But there’s also the idiosyncratic history of O’Keeffe’s life there, her adobe house (the inside of which we know is incredibly chic, but which is not open, or not regularly open to the public - yet) and some pretty impressive paleonotological finds, like the discovery of some of the oldest fossils in North America. 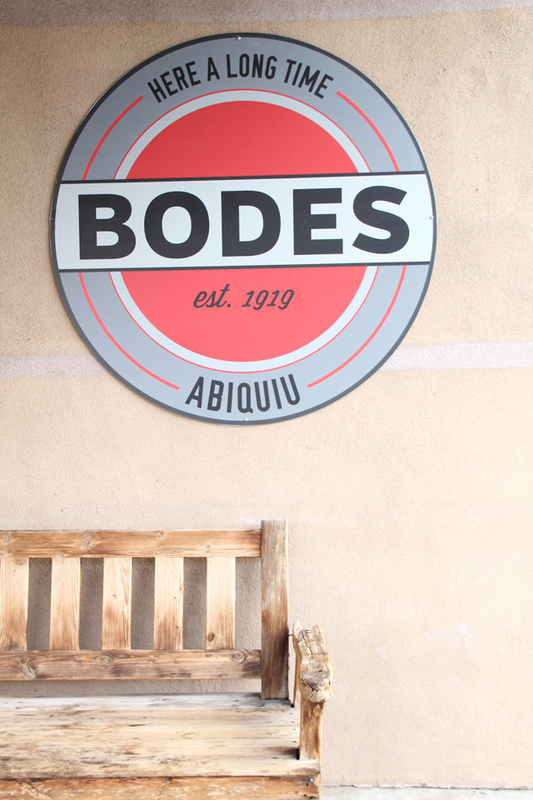 On the way we stopped at Bode’s, a gas station and general store with excellent sandwiches, in Abiquiu. 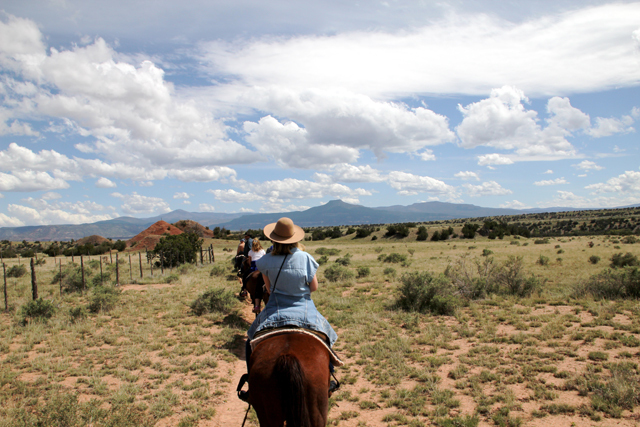 On our visit, we took the Georgia O’Keeffe trail ride which takes you on horseback through the landscape surrounding her adobe house. The colors, shapes, sky and plants of the landscape were so beautiful it felt like being in an almost surreal dream, or maybe like being in heaven. In a way, O'Keeffe thought so too. 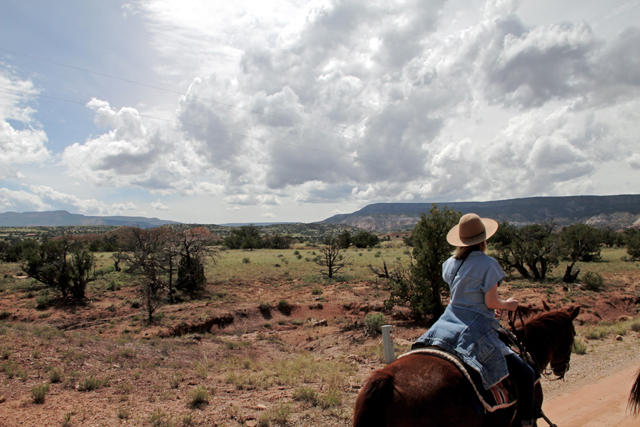 Of the nearby mountain mesa Pedernal, she said that God told her if she painted it enough, she could have it. 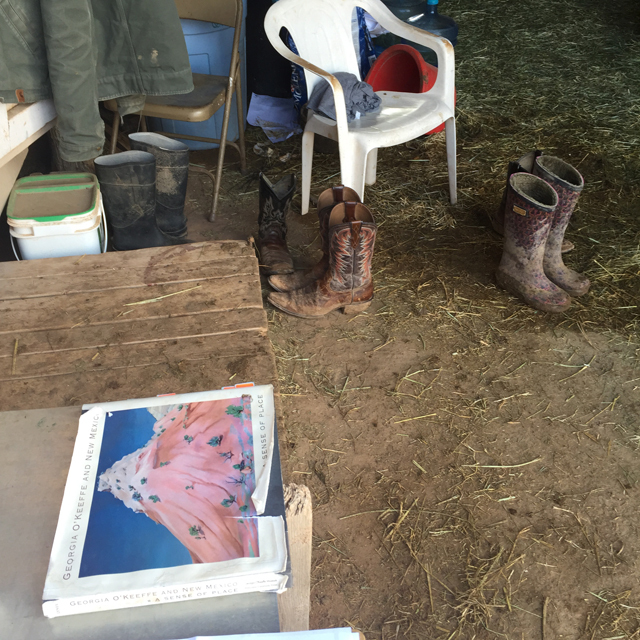 We were led by two guides who seemed like hip city folks who packed it in to move out West. Really who better to steward the next generation’s love of Georgia O’Keeffe's landscape than tattoed perhaps former art majors who loves horses and sometime Brooklynites who now only wear Western denim? 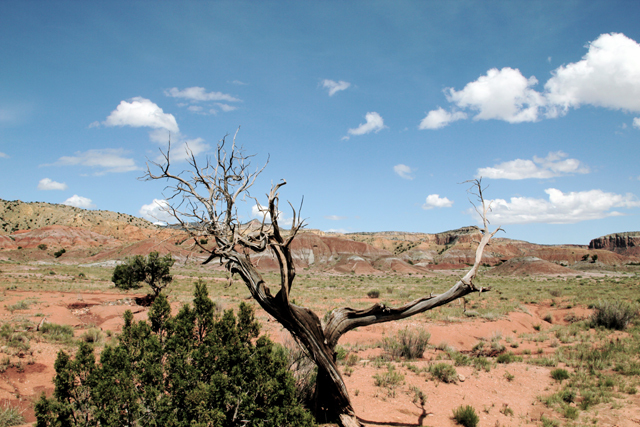 Gerald's tree: A poet friend of Georgia O’Keeffe's used to come visit her at Ghost Ranch. He studied meditation in the Far East and would walk around a dead juniper in circles until he achieved a meditative state. Then, he would write a poem in the circle of sand. One day O’Keeffe noticed the circles around the tree and a poem he had written in the sand. She painted the tree and called it Gerald's tree. 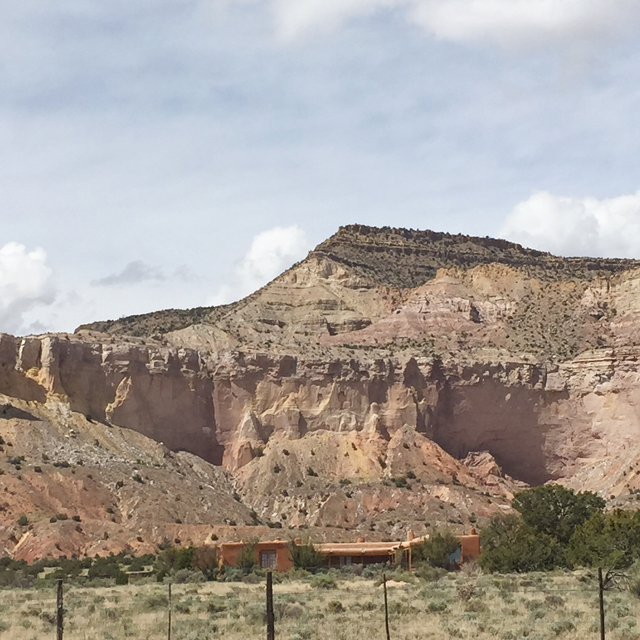 El Rancho de los Brujos: People thought the area now known as Ghost Ranch was haunted (hence its old name, El Rancho de los Brujos). 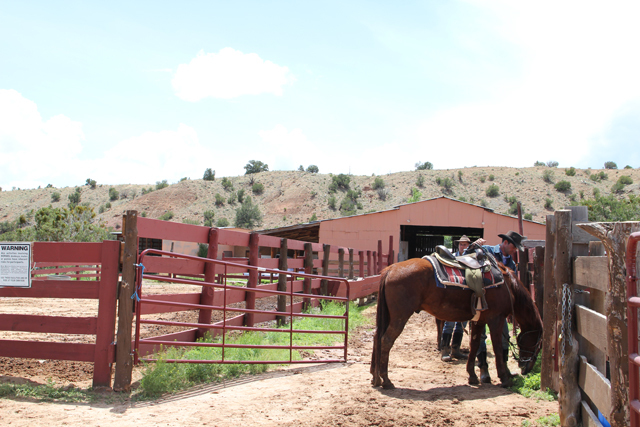 So some cattle-rustling brothers, Nacho and Matteo Archuleta, took up residence there hiding their stolen cattle in the Box Canyon. They were also stagecoach robbers, and one day, Matteo hid some gold by burying it. Nacho immediately sussed it out, and when Matteo wouldn't share the money, Nacho shot him. Nacho also knew that Matteo's wife knew where the gold was. He told her she had until the morning to tell him where it was, and figured she'd never run away across the haunted Rancho de los Brujos. But Nacho was wrong. 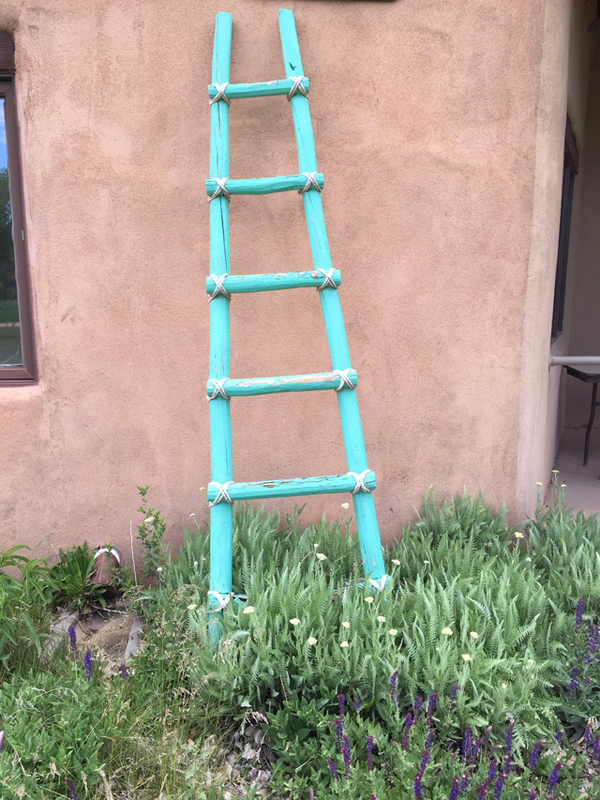 She did run, and she made it back to her home in San Juan Pueblo. 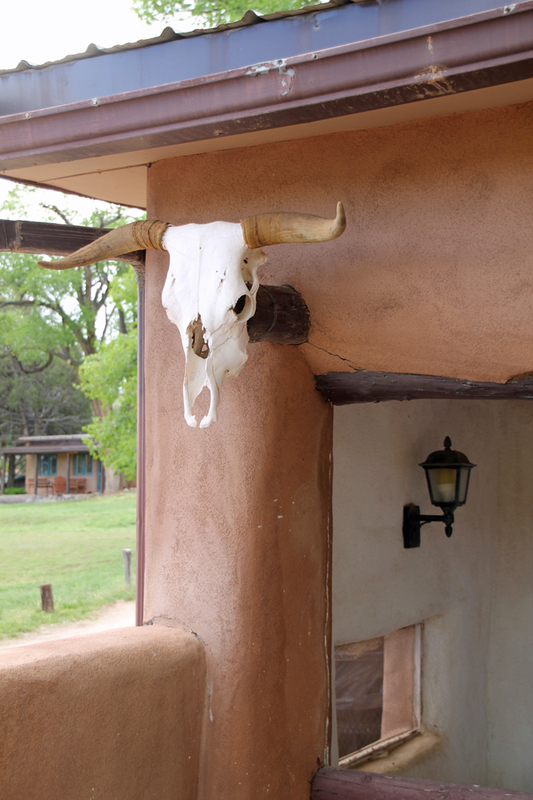 She spilled the beans on the whole operation, and men from the town raised up a posse and went back to Ghost Ranch where they hanged the whole cattle rustling gang from the tree right in front of the Ghost House, which they still call the hanging tree.